I am sure most of you aware what is single sign-on (SSO) in Active Directory infrastructure and how it works. 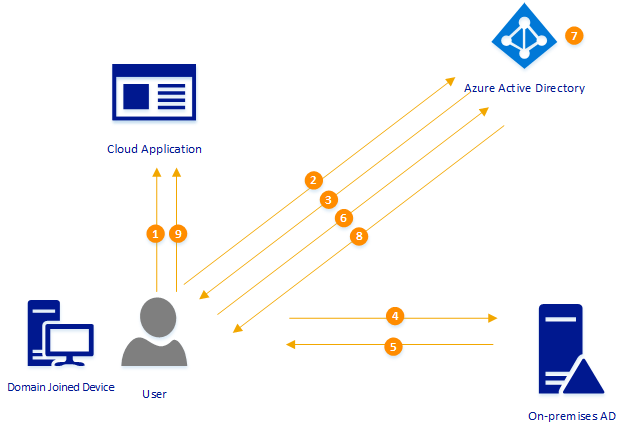 When we extend identity infrastructures to Azure by using Azure AD, it also allows to extend Single Sign-On capabilities to authenticate in to cloud workloads. it can be done using on-premises ADFS farm. Password Hash Synchronization or Pass-through Authentication allow users to use same user name and password to log in to cloud applications but this is not a “Seamless” access. Even they are using same user name and password, when log in to Azure workloads it will prompt for password. 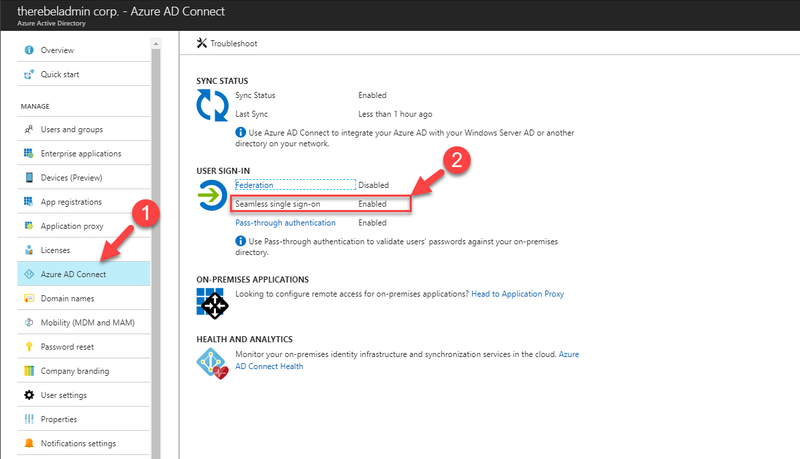 In my below example, I have an Azure AD instance integrated with on-premises AD using Pass-through Authentication. In there I have a user R272845. I logged in to a domain joined computer with this user and try to access application published using Azure. 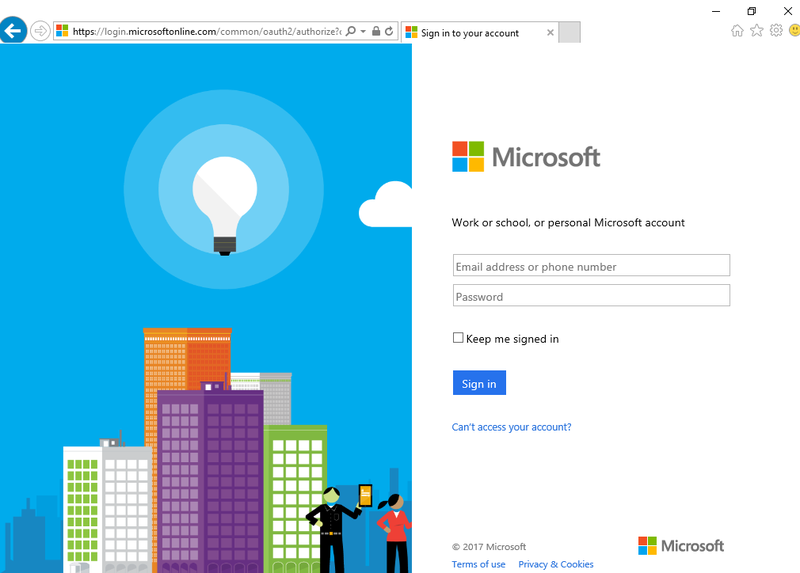 when I type the URL and press enter, it redirects me to Azure AD login page. 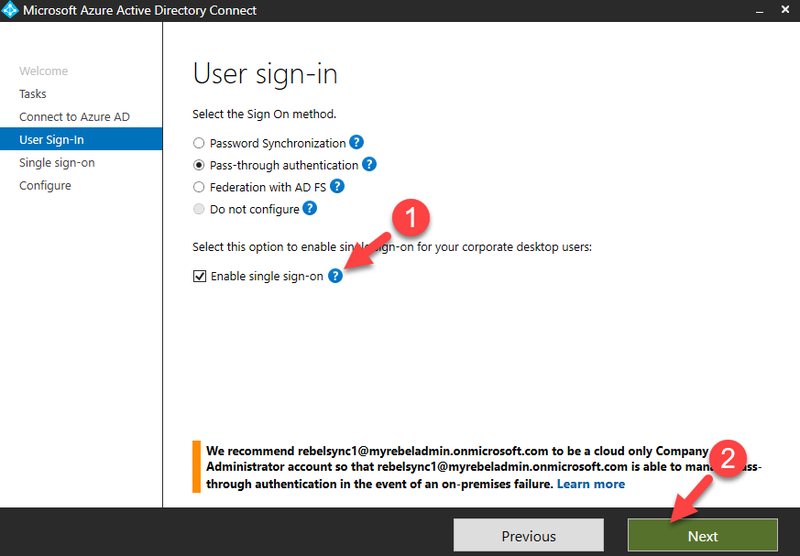 Azure Active Directory Seamless Single Sign-On is a feature which allow users to authenticate in to Azure AD without providing password again when login from domain join/ corporate device. This can be integrated with Password Hash Synchronization or Pass-through Authentication. This is still on preview which means cannot use in production environment yet. However, if it doesn’t work in environment, it will always issue the typical Azure AD authentication page, so it will not prevent you from accessing any application. This feature is not supported if you using ADFS option already. • Users are automatically signed into both on-premises and cloud-based applications. • Users don't have to enter their passwords repeatedly. 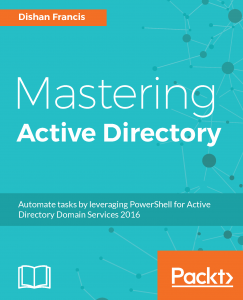 • No additional components needed on-premises to make this work. • Works with any method of cloud authentication – Password Hash Synchronization or Pass-through Authentication. • Can be rolled out to some or all your users using Group Policy. • Register non-Windows 10 devices with Azure AD without the need for any AD FS infrastructure. This capability needs you to use version 2.1 or later of the workplace-join client. • Seamless SSO is an opportunistic feature. If it fails for any reason, the user sign-in experience goes back to its regular behavior – i.e, the user needs to enter their password on the sign-in page. According to Microsoft, following environments are supported. The current release (at the time this blog post was written) do not support edge browser. Also this feature will not work when users use private browser mode on Firefox or when users have Enhanced Protection mode enabled in IE. Before we look in to configuration, let’s go ahead and see how it’s really works. In following example, user is trying to access cloud based application (integrated with azure) using his on-premises username, password and domain joined device. Also, it is important to know what happen in corporate infrastructure when seamless SSO enabled. 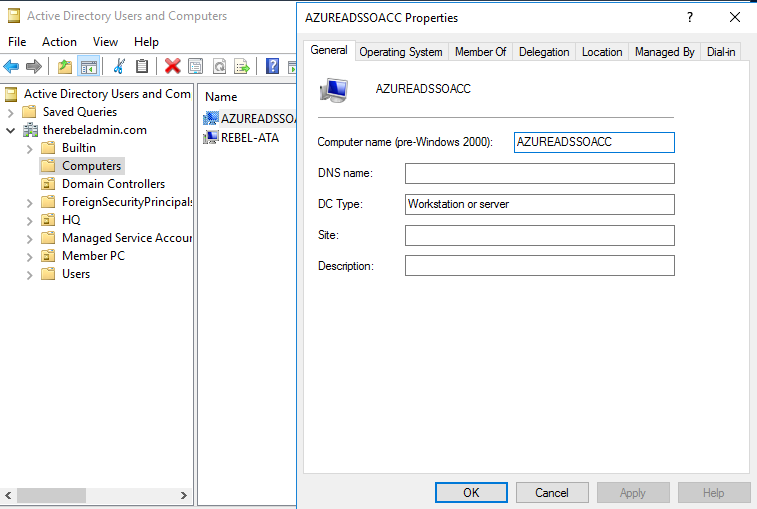 • AZUREADSSOACCT computer account’s Kerberos decryption key is shared with Azure AD. 3. 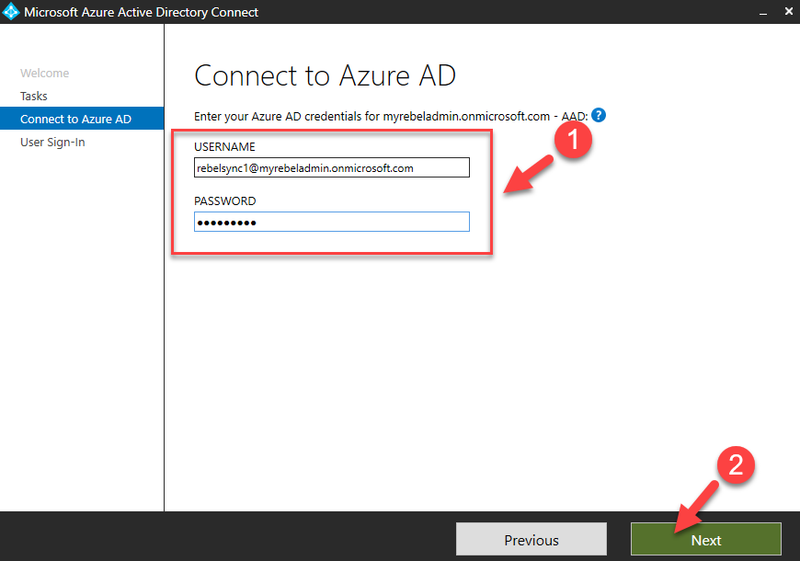 Latest Azure AD Connect https://www.microsoft.com/en-us/download/details.aspx?id=47594 – if you have older Azure AD connect version installed, you need to upgrade it to latest before we configure this feature. 5. Add is https://autologon.microsoftazuread-sso.com and https://aadg.windows.net.nsatc.net to browser intranet zone. If users are using IE and chrome, this can be done using group policy. I have written blog post before how to create policy targeting IE. You can find it here. Configuration of this feature is straight forward, basically it’s just putting a one tick box. 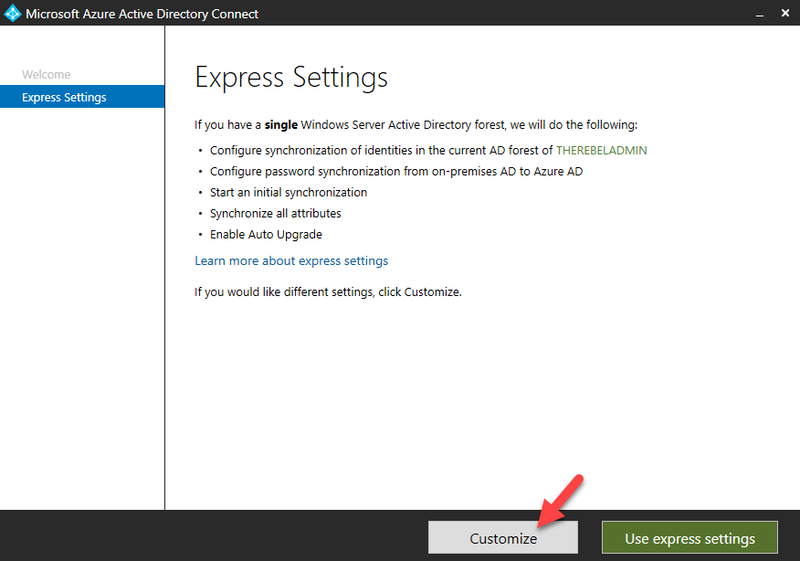 If its fresh Azure AD connect installation, select the customize option under express settings. Then in User Sign-in page select the appropriate sign-in option and then select Enable single sign-on option. 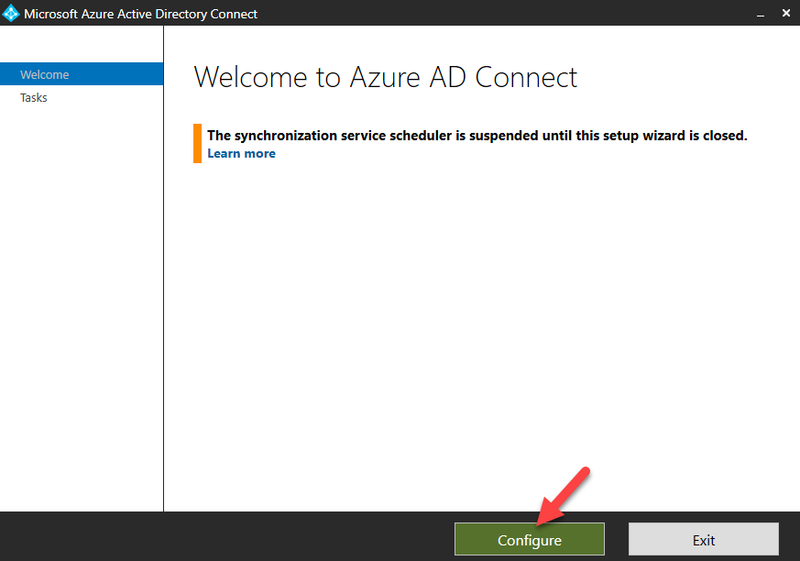 If you have existing Azure AD connect instance running, double click on Azure AD connect short cut. In initial window click on Configure. 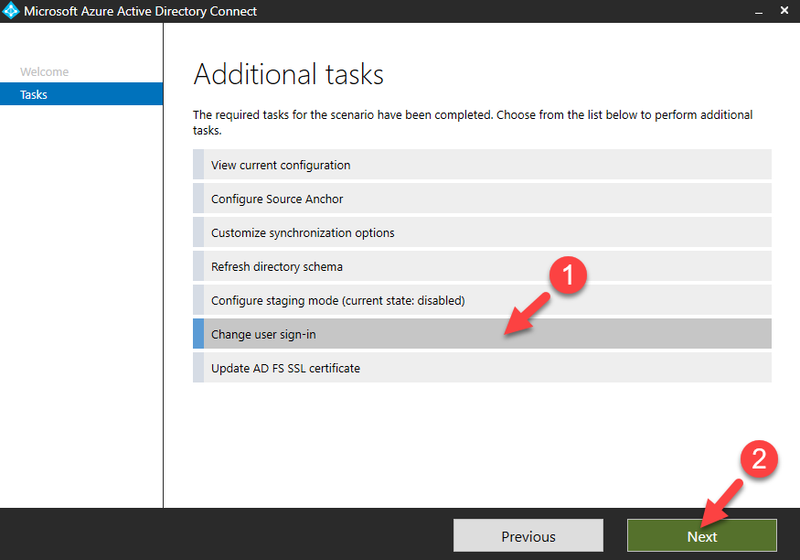 In additional task page click on Change user sign-in and then click on Next. 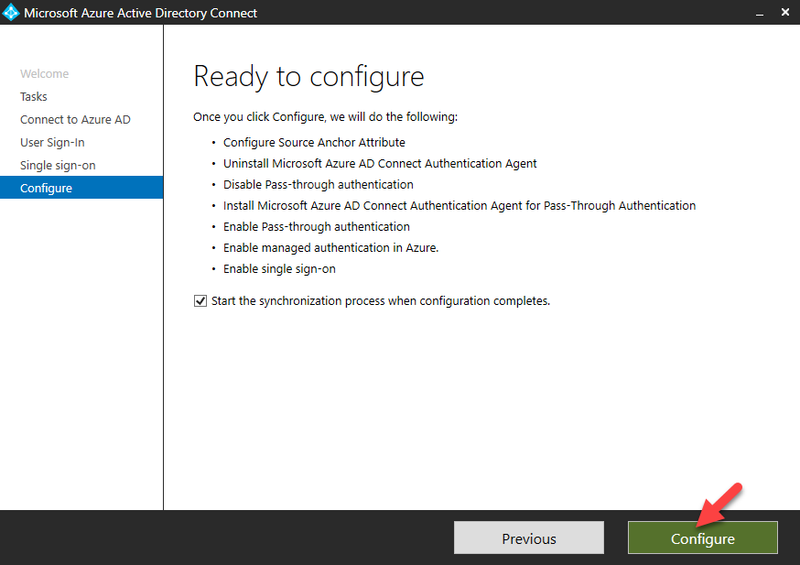 In next window, type the Azure AD sync account user name and password and click on Next. Then under the User Sign-in page select Enable single sign-on option and then click Next. 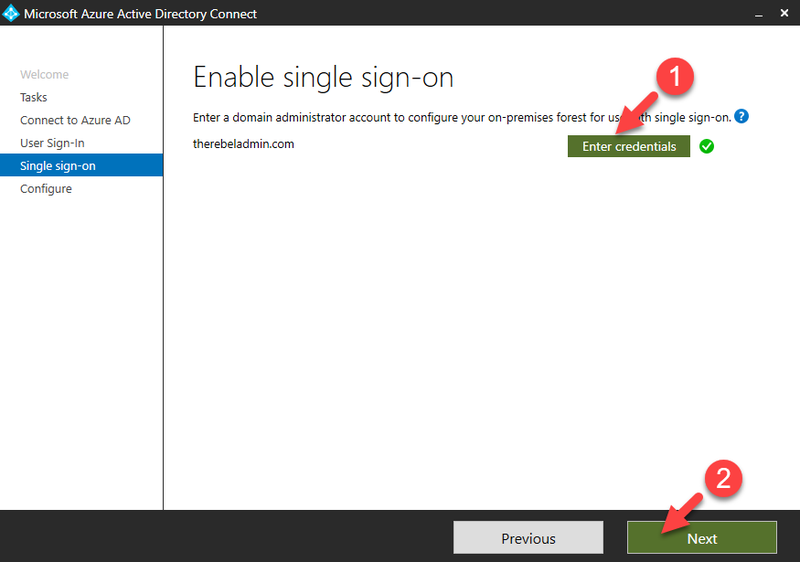 In next page, enter the credentials for on-premises domain admin account and click Next. At the end click on Configure to complete the process. This completes the configuration and next step is to verify if its configured SSO. First thing is to check if its create computer object called AZUREADSSOACCT under on-premises AD. You will be able to find it under default Computers OU. 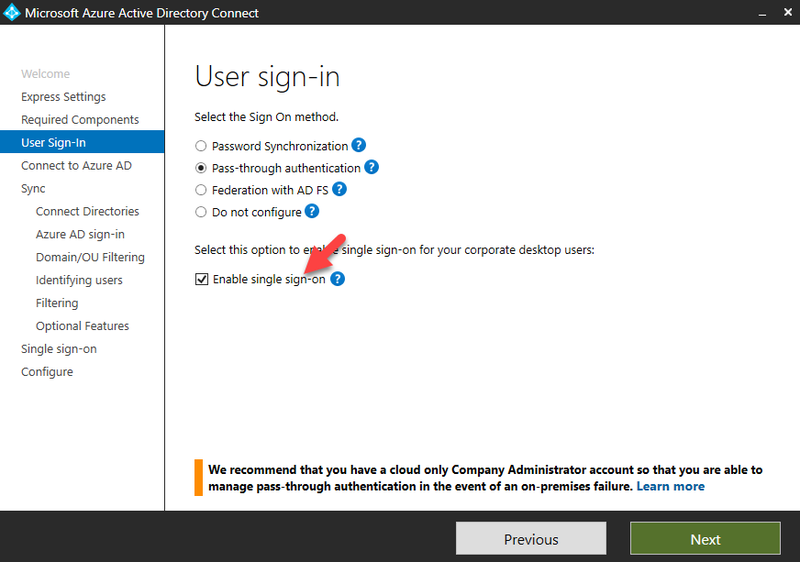 Then log in to Azure Portal and go to Azure Active Directory > Azure AD Connect then under the user sign-in option we can see seamless sign-on option is enabled. This means it’s all good. Next step is to check if its working as expected. in order to do that I am login to corporate device with same user I used earlier which is R272845 and try to access same app url. This time, all I needed to type was the user name and it log me in. nice!!!! Note – before testing make sure you added the two Azure AD urls to intranet zone as I mentioned in prerequisites section.